Source: « How Handwriting Trains the Brain. Forming Letters Is Key to Learning, Memory, Ideas » by GWENDOLYN BOUNDS, The Wall Street Journal, 2010. What does a world without handwriting? Source: « À quoi ressemble un monde sans écriture manuelle? » par Sarah Rubato paru sur Huffingtonpost.fr , 2014.
we wish a happy and prosperous New Year ! Here is the list of 54 countries that have visited us in 2015! Romania, Belgium, France, United States, Finland, Greece, Germany, Brazil, UK, Spain, Canada, Italy, Netherlands, Sweden, Switzerland, Hungary, Morocco, Malta, Portugal, Austria, Turkey, Latvia, India, Mexico, Russia, Philippines, Argentina, Guadeloupe, Estonia, Ivory Coast, European Union, Ireland, Japan, Ecuador, Indonesia, Togo, Croatia, Australia, Iceland, Malaysia, Bulgaria, Thailand, Egypt, Saudi Arabia, Taiwan Qatar, Serbia, Denmark, Poland, Slovenia, Colombia, Czech Republic, China. If innovate in the fight against early school leaving was to fight against institutional violence we generate which can have adverse effects on some of our most vulnerable students? We are extremely proud to have been invited by Irene Psifidou to bring our experience to this ambitious project! Many thanks to Irene Psifidou, Christina Tsiami (in the photo ) and all partners of our Comenius project! …because it inspired some others European projects to tackle the problem of early leaving school. It works around digital storytelling ! 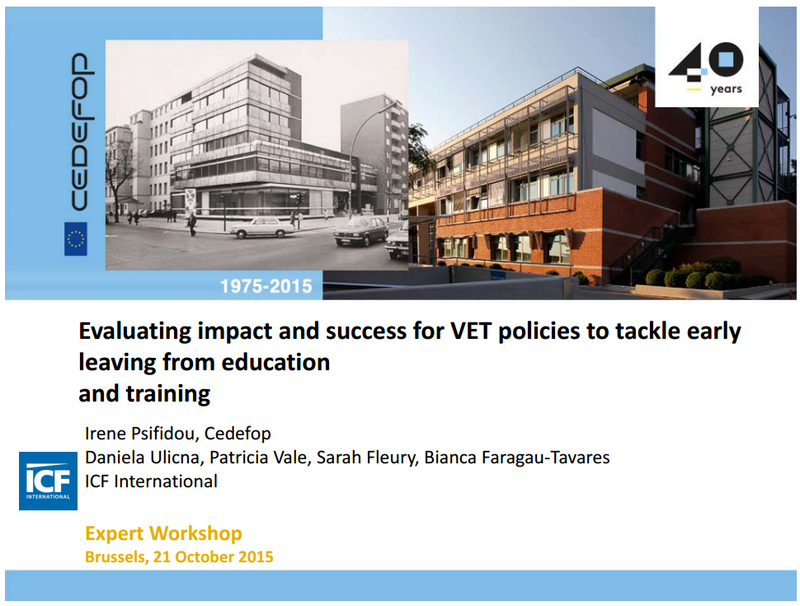 Workshop at Cedefop on 21 October 2015 in Brussels.